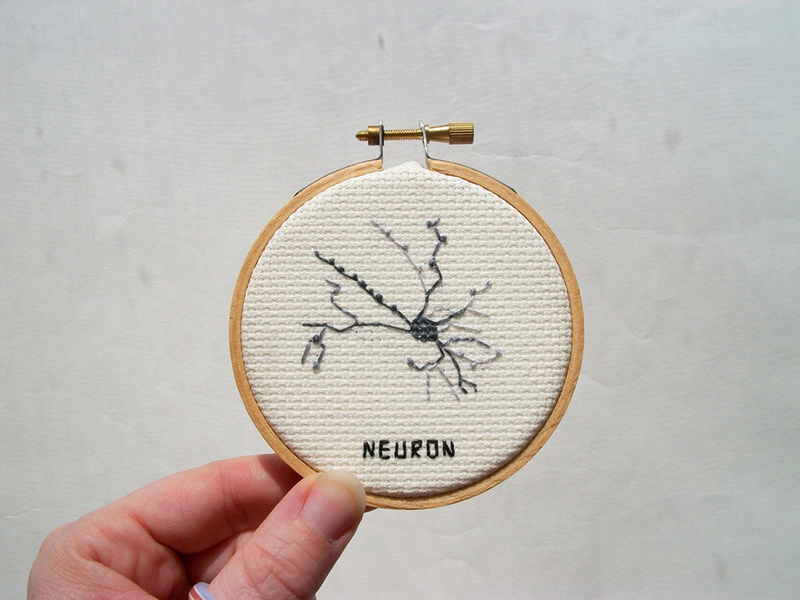 Artist Alicia Watkins zooms in on microorganisms and viruses not with a microscope but with needle and thread. 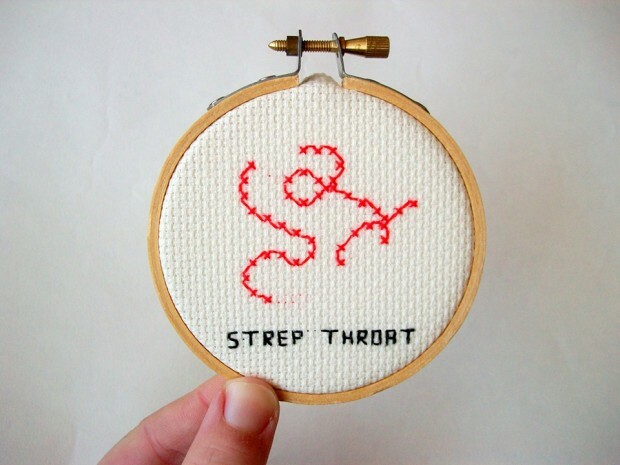 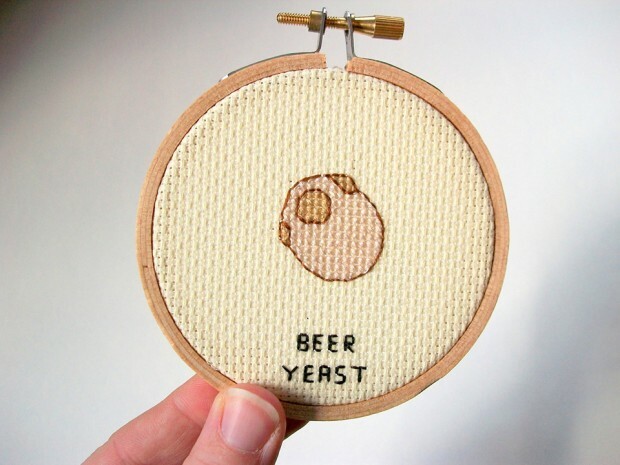 Her Etsy shop is filled with handmade cross-stitches of these tiny beings, from our buddies the red blood cell and the neuron to nasty folk like the anthrax bacterium and the ebola viruses. 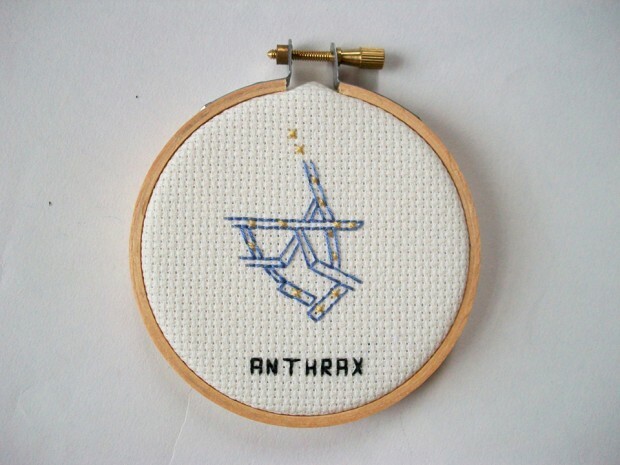 Each cross-stitch is made with white or ivory Aida cloth and mounted on a 3″ wood hoop frame. 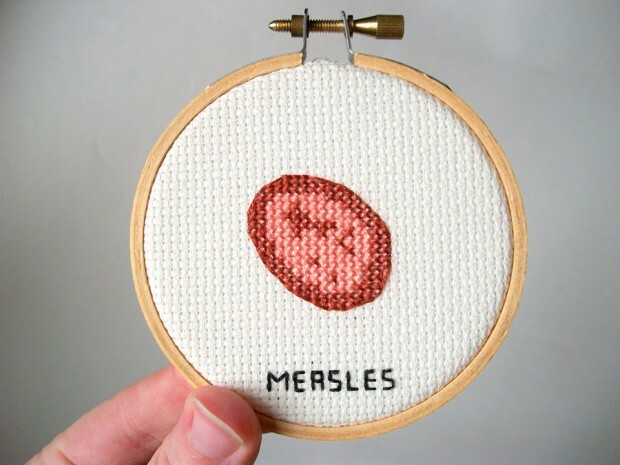 Who wouldn’t want a syphilis cross-stitch on their wall? 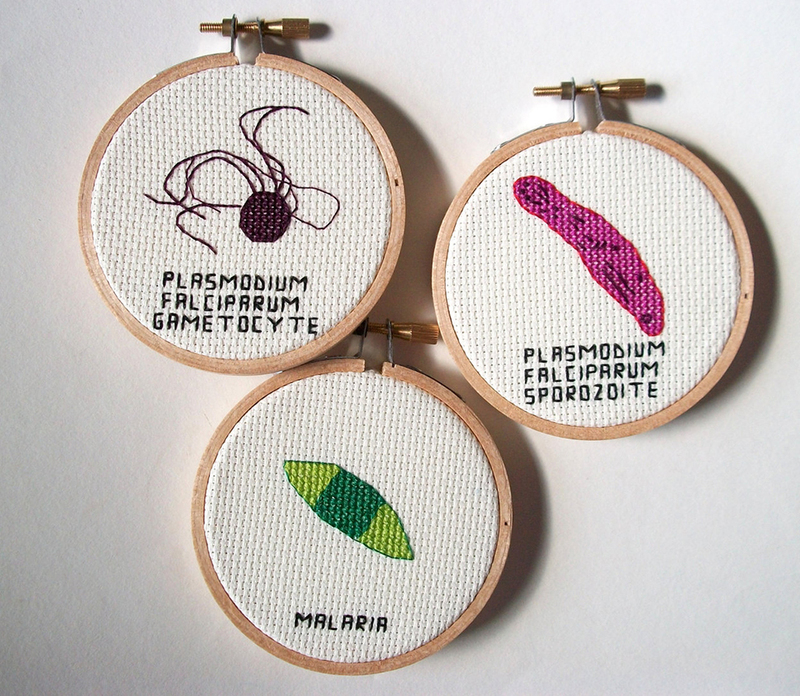 You can order these and more from Alicia’s Etsy shop for $20 (USD) each. 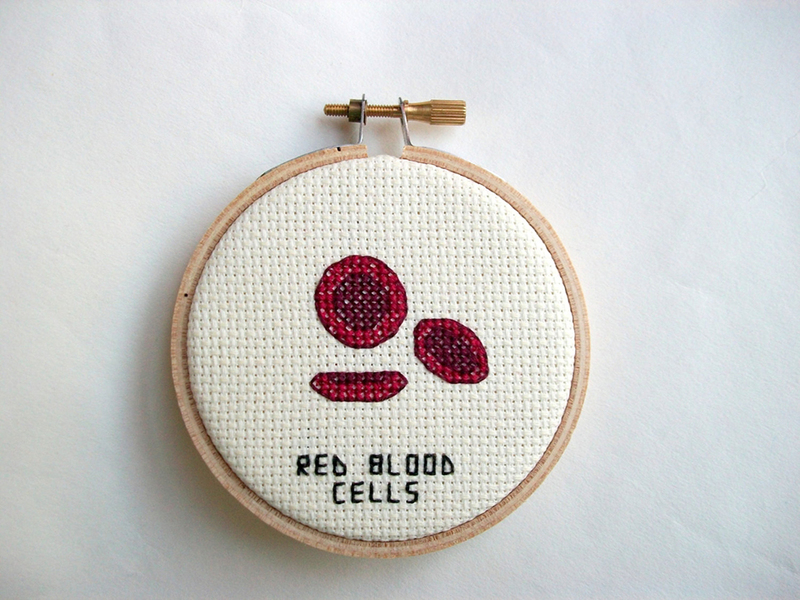 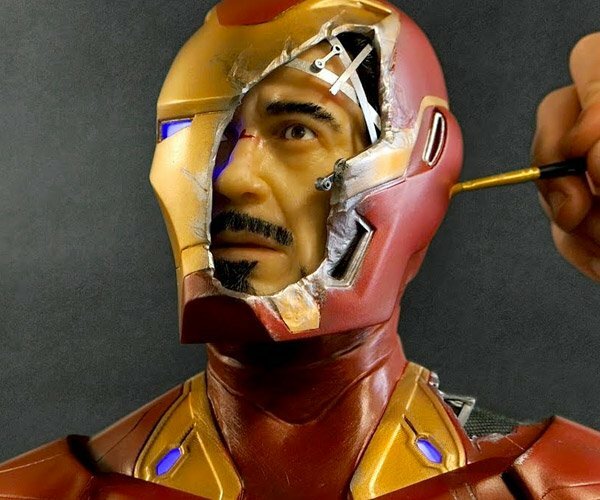 They’re also available in discounted bundles and as patterns.